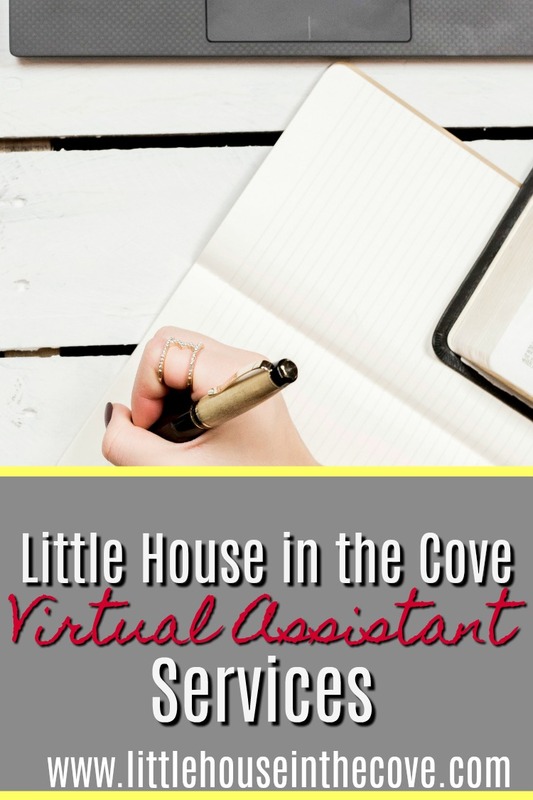 One of the ways that I keep this site going is by offering a few different Virtual Assistant services. All services are kept confidential and only discussed between the client and myself. I am available for online meetings with the client to discuss specific needs. You can email me at bridget@littlehouseinthecove.com to discuss your needs! Have a huge series coming up and you feel like you are in over your head. I can help! Submit all the freebies to freebie sites. Guest Writing (500 words to 800 words) – These guest posts will include a teaser being posted on my site and promoted on all my social media outlets. Reviews on this site will not be done for free. I will ask for one product to use myself and one that you will be responsible to mail to one of my readers when I offer a giveaway. My opinion will be solely that of my own. Also in order for your product to be considered for review, it must be something my readers would be interested in. These reviews will be promoted on all my social media platforms. I can provide a media kit upon request. I can and will allow advertisers to contact me to rent a section on the sidebar of Little House in the Cove. Howe,ver these things must be useful to my readers and meet my approval. I have a media kit available upon request. Are you still unsure if I am the right VA for you? Here is what others say about my services.